The Argweld PurgEye® 300 Nano Weld Purge Monitor® is small, lightweight and inexpensive. The PurgEye® 300 Nano is equipped with an integrally mounted sensor to eliminate electrical interference. The PurgEye® 300 Nano is specifically developed for weld purging of critical stainless steel and titanium joints and others where data logging, alarms and welder control are not necessarily required. The PurgEye® 300 Nano is perfect for operation with manual welding, orbital welders, welding enclosures, pipe welding, chamber welding, duplex steel and titanium welding and ideal for welding stainless steel in ultra clean applications. The PurgEye® 300 Nano has secure 'leak tight' connectors for weld purge hoses. Also, the instrument can be used with optional accessory hand pump and gas sampling probe. The PurgEye® 300 Nano has low repair, refurbishment and re-calibration costs. There is no pump needed and hence there are no moving parts to fail. The Argweld® PurgEye® 300 'Nano' Weld Purge Monitor® has been specifically designed as a very low cost, basic entry level version of the Argweld® PurgEye® 300 for indicating low oxygen levels in inert gas for weld purging down to 10 ppm. With a large alpha-numeric display, the Argweld® PurgEye® 300 'Nano' measures very accuray from 1000 ppm down to 10 ppm. The Argweld® PurgEye® 300 'Nano' uses a unique new low cost long life sensor which has very little maintenance requirement and avoids the disadvantages of monitors with 'wet cell' technology that have to be constantly calibrated and have sensors replaced. Argweld® PurgEye® 300 'Nano' Weld Purge Monitors® are available for imte delivery. The PurgEye® 300 Nano has an operating voltage of AC 115/230 V single phase 50/60Hz. The unit uses an external 12 V Power Supply Unit with an input voltage range of AC 90 to 260 V (included). The PurgEye® 300 Nano has a large alpha-numeric display. Display readings can only be shown in ppm. The PurgEye® 300 Nano has a warm up time of less than 60 seconds. 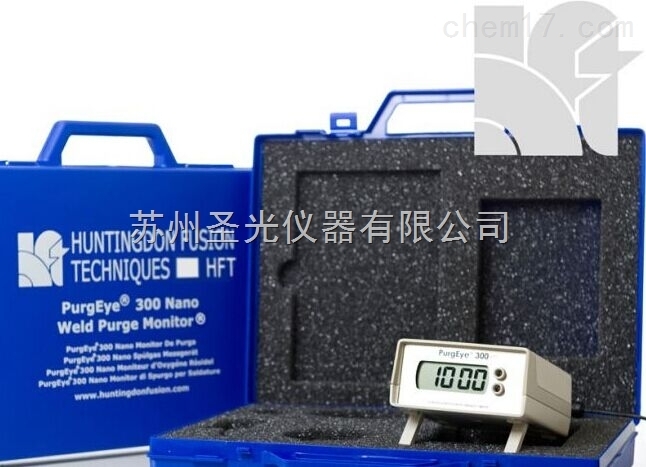 苏州圣光仪器有限公司专门提供各类优质PurgEye 300 Nano便携式测氧仪,以及PurgEye 300 Nano便携式测氧仪供应信息的厂商.欢迎有意者前来咨询了解.